Creates fractal spirals that are infinitely zoomable. Effortlessly creates dubsteppy growls and vocal basses. Also teaches the Nyquist-Shannon sampling theorem. 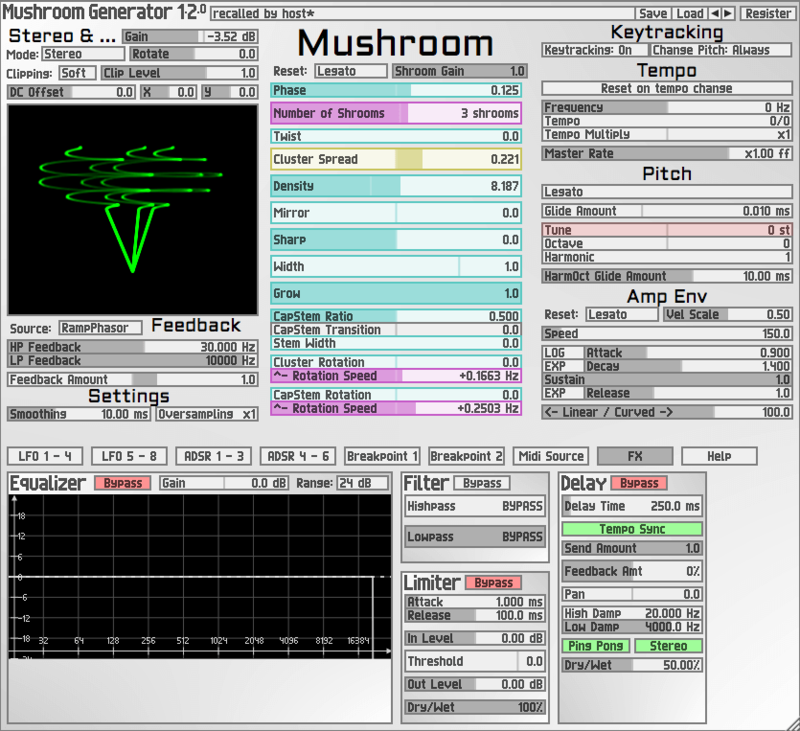 Generates mushrooms that move and dance like in real life! Excels at rich chordal and organ-style sounds. 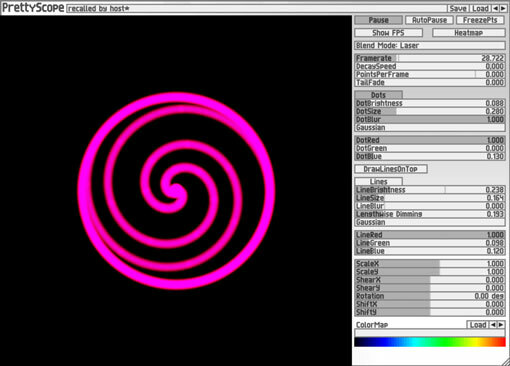 Creates delicious 3D spiral donut shapes. Great for dubstep growls and wobbles. The most polished Jerobeam Algorithm to date. Will sound like an overdriven subtractive synth without filters. 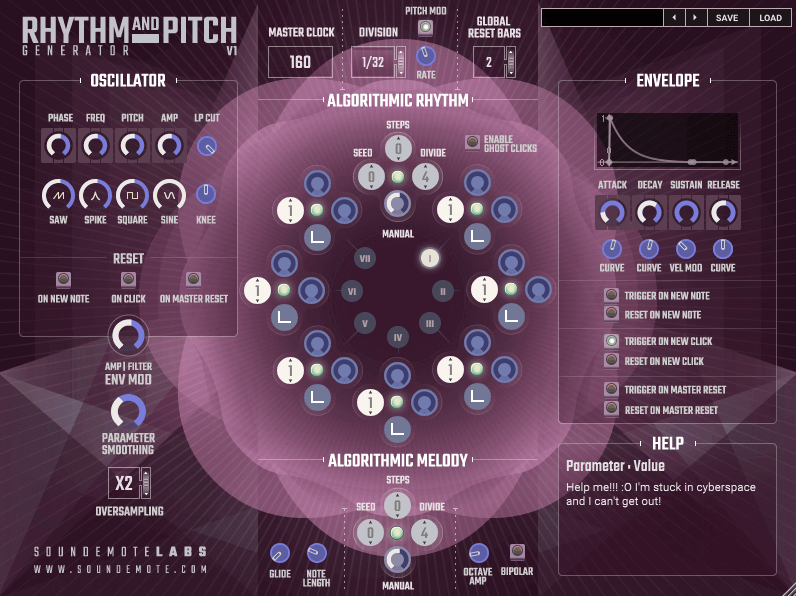 Rhythm and Pitch Generator is an analog-style arpeggiator. 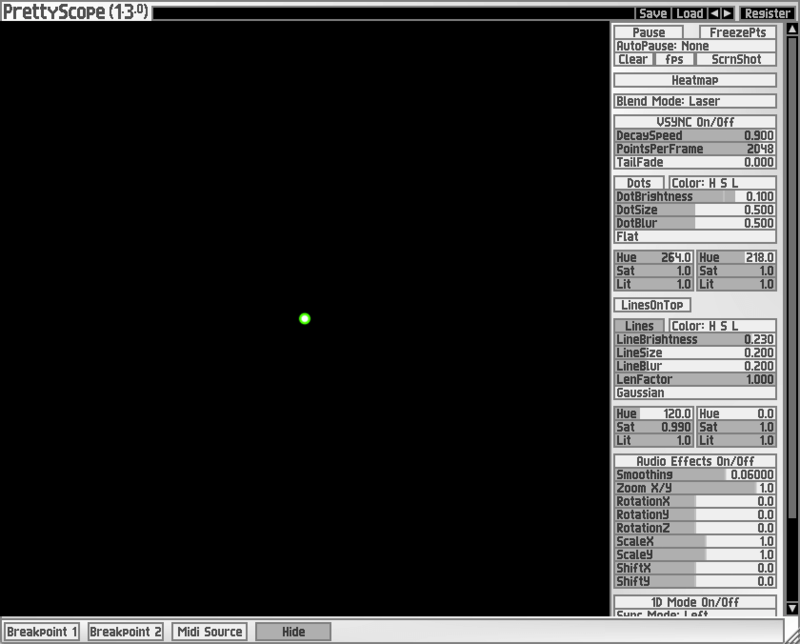 Can be run at audio rate for a quirky sound generator. 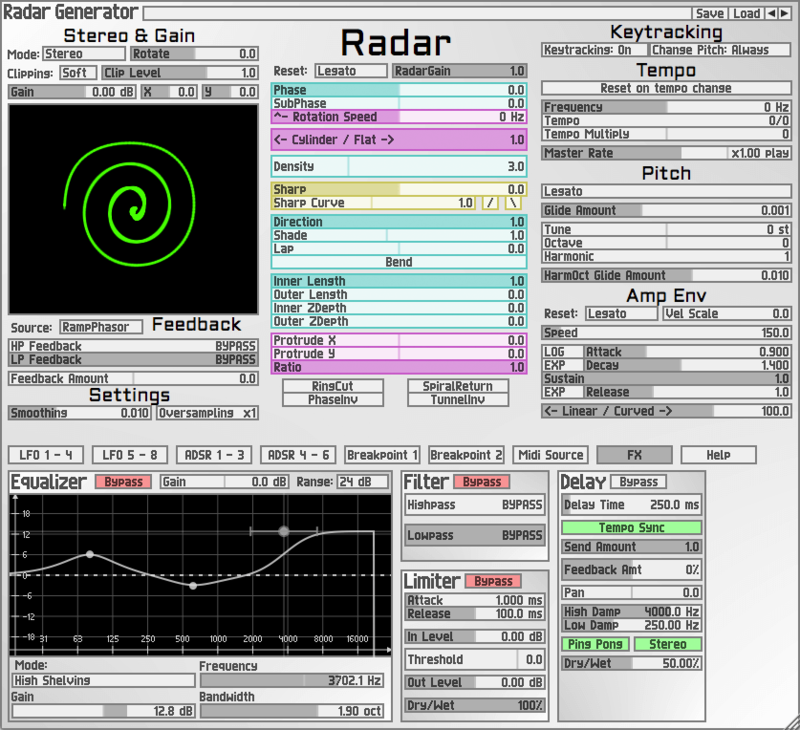 PrettyScope captures the beauty of analog oscilloscopes. Offers a wide range of aesthetic options and is fully automatable. 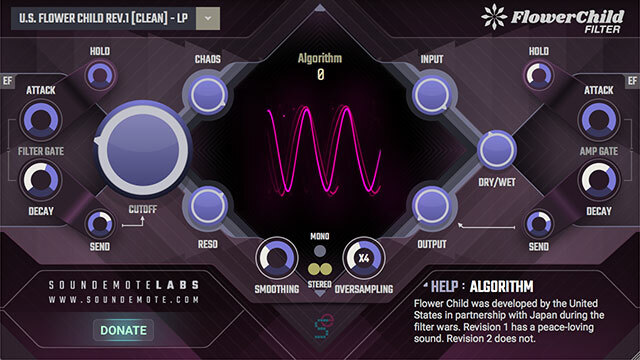 Flower Child is aptly named for its goal to have a clean and resonant sound. There is also a switch for an aggressive growling version that is sure to cater to your more destructive side. PrettyScope captures the beauty of analog oscilloscopes and offers a wide range of aesthetic options. While fundamentally designed as a waveform studying tool, it has evolved into a powerful sound and music visualizer. Take total control over the look and feel. One can make it look colorful or creepy for artistic endeavors, flat and monochrome for teaching purposes, or anything inbetween. 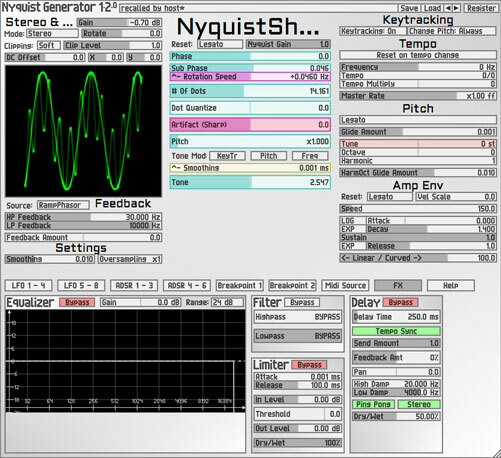 A series of musical synthesizers and sound generators which, when viewed through an X/Y oscilloscope, produce discernible shapes and interesting patterns. This is a series inspired by the works and algorithms of Jerobeam Fenderson. F.M.D. 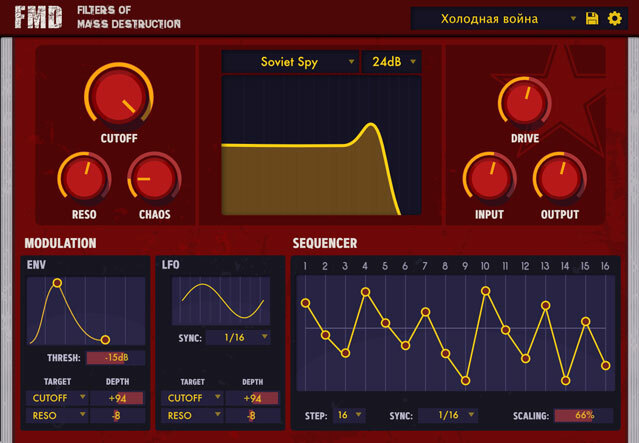 is a work-in-progress filterbank fx plugin that will recreate the behavior of various analog filters, especially offering the joy of discovering bizarre and quirky boutique filters.